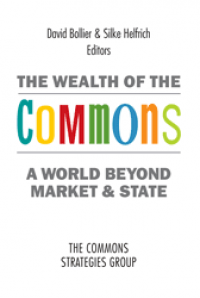 One of the most devastating and recurring problems that virtually every commons faces is market enclosure – the privatization and marketization of shared resources by businesses, investors and speculators, often in collusion with government. What's really remarkable is that legislatures and courts so often declare that enclosures are legal because they supposedly contribute to economic growth, progress and freedom, etc. All of this got me to thinking: What would it look like if commoners could invent their own types of law, consistent with state law, to reliably protect their commons? What if there were a more rigorous Law for the Commons? There are in fact many examples from history. The most notable ones may be the centuries-old public trust doctrine for water and other natural resources, and the Charter of the Forest, the forgotten part of Magna Carta that guarantees commoners’ rights. In our time, the General Public License for software and the Creative Commons licenses for content are masterstrokes of legal ingenuity that protect shared wealth. Commoners can be confident that no one can legally appropriate their pooled resources, whether they are code, writing, images or music. As I looked into this topic further, I discovered that there is in fact a wealth of legal innovation now underway in many sectors of the commons world. There are clever legal hacks to protect indigenous peoples’ agroecological knowledge and traditions. There are new variations on co-operative law and new legal initiatives to protect local communities’ self-determination. 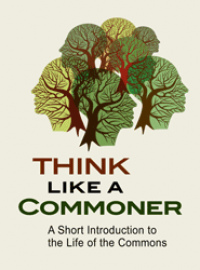 There are stakeholder trusts and new organizational forms for commoning. With support from the Heinrich Boell Foundation, I researched and wrote a lengthy four-part strategy memorandum outlining more than sixty examples of legal innovation for the commons. The memo also includes a rationale for launching a new field of inquiry and activism, Law for the Commons. In the next four blog posts, I will share my strategy memo part-by-part, and invite comments and ideas for moving forward. A beautiful new wiki hosted by the Commons Transition Plan will be launched shortly to showcases the many forms of commons-based law mentioned in my memo. (Thanks, Michel Bauwens and Stacco Troncoso!) I am hoping that readers will have other examples to add to the ones that I’ve compiled, and new source material and weblinks for existing examples. 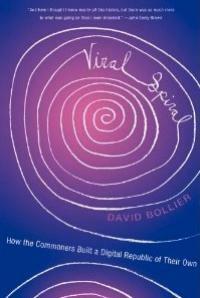 Although it is customary for mainstream economists and politicians to consider the commons a failed management regime – the “tragedy of the commons” – it is in fact a pervasive and highly generative system for meeting people’s needs. More: commons tend to function in more culturally satisfying, ecologically responsible ways, which is more than can be said for conventional markets and government systems. An estimated two billion people in the world depend upon various natural resource commons (water, forests, fisheries, farmland, wild game, etc.) to meet their everyday needs – and over the past twenty years, many people in modern, industrialized contexts have (re)discovered the commons as a new paradigm of self-provisioning. It is producing everything from software, textbooks and farm equipment, and providing valuable stewardship for urban spaces, indigenous knowledge, natural resources and cooperative finance. Historically, most commons have not needed nor sought formal protections of law. Their self-organized customs, socially negotiated rules and relative isolation from outside capital and markets, were enough to sustain them. This has changed dramatically over the past 30-40 years, however, as global commerce, technology and conventional law have relentlessly expanded, superimposing the logic and values of markets on nearly every corner of the nature and social life. The resulting enclosures of the commons amount to seizures of common assets for private gain. 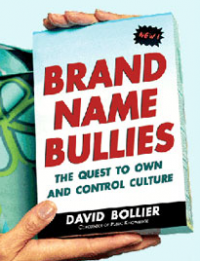 They are also destroying culturally coherent, productive communities operating outside of the market/state order, forcing people to become consumers and employees in order to meet their needs. 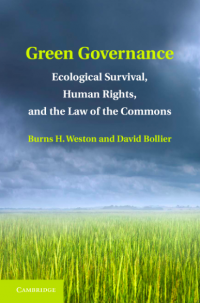 As enclosures have taken control of common assets – paradoxically calling attention to the actual value of commons; “you don’t know what you got till it’s gone” – they have spurred new interest in using law to protect commons. This topic has a rich history going back to the Magna Carta and its companion document, the Charter of the Forest, which provided commoners with explicit legal rights to use their customary forests, pastures, rivers and other natural resources to meet their daily needs. In similar fashion today, commoners are increasingly devising new legal mechanisms to protect their access and use of shared resources from predatory market activity. This is, in fact, a burgeoning new arena of political innovation in subsistence commons of the global South, digital commons on the Internet, and knowledge and design commons for physical production. New legal regimes are being created to manage public spaces, water systems and education as urban commons; provide social services, and introduce credit and barter systems through co-operatives. A vanguard of commoners is proposing stakeholder trusts for large common-pool resources such as oil, minerals, water and the atmosphere. Others are developing new organizational structures such as “omni-commons,” open value networks and community charters to provide legal stability and protection for commoning. Commoners see improvisations in commons-based law as expedient necessities – creative ways to thwart outside appropriation of their resources and to provide legal certainty for their social governance by negotiating a modus vivendi with a hostile state, which often sees commoning as a competing nexus of power and moral authority. Many commoners have embarked upon this journey to engage with conventional state law because of the alarming gap between legality andlegitimacy. Law for the Commons seeks to bridge this gap between the formal strictures of state law and bureaucratic rules adopted by political and corporate elites – “legality” -- and the experiences and vernacular norms and practices of ordinary people. This “vernacular law,” as I call it, consists of the “unofficial”social norms,procedures, and customaryinstitutionsthatpeer communitiesdevisetomanagetheir own resources. Vernacular law has a moral and social legitimacy that commoners are struggling to assert, not just through law but through political struggles and cultural expression. So in this sense, commons-based legal innovation is an attempt to overcome the structural limitations of legality, the formal apparatus of market/state governance as now constituted. This struggle is a bit ambiguous or even paradoxical because commoners aspire to have the sanction of state law (which is grounded in alien philosophical commitments and outlooks) while also developing a very different logic and ethic (of commoning). Commons law seeks to validate different (mostly non-market), socially convivial ways of meeting needs and having meaningful self-governance. The culture spawned by the Internet over the past twenty years is in effect declaring that “representative” legislatures and centralized bureaucratic systems are simply not as responsive and effective as bottom-up, commons-based approaches on open network platforms. Significantly, citizens do not experience the former as transparent, legitimate and accountable. I submit that commoners are attempting to fill the institutional void of politics with new sorts of commons-based law that have not yet been recognized as such. This shift of focus by citizens reflects dwindling confidence in state law as a way to achieve real change. It also reflects growing interest in technology platforms and social norms as better vehicles for “making law”; the latter are seen as more likely to be participatory, effective, respected and legitimate. In this respect, I believe law for the commons can help rehabilitate and transform mainstream politics and public policy by enacting values that are structurally marginalized by the neoliberal policy consensus – participation, inclusiveness, fairness, non-instrumental human relationships, transparency, accountability. Commons-based law attempts to declare that certain human relationships and resources must be insulated from market exchange (“inalienability”). It honors the sovereignty of people to devise their own forms of hands-on governance to meet their needs, especially in a local context. It recognizes the importance of bottom-up initiatives and engagement. It provides a philosophically coherent framework – distinct from the governing ethos of the liberal market state – for meeting people’s needs without bureaucracy (politically corrupted, paralyzed by formalities, dominated by lawyers and remote “experts”; indifferent to local complexities) or conventional markets (concentrated, predatory, often rigged and oligopolistic, ecologically harmful, winner-take-all). I like to think that Thomas Jefferson would endorse this project of developing law for the commons because, as he once said, “laws and institutions must go hand in hand with the progress of the human mind.” The human mind and social circumstances have changed quite a bit in the last generation, not to mention the last 225 years. It is worth adding: the economic logic and appeal of commoning – apart from any moral or political arguments – is rapidly increasing. As analysts such as Jeremy Rifkin, Paul Mason, Yochai Benkler, Michel Bauwens and many others argue, the world economy is undergoing a profound shift. Twentieth-century economy of institutions based on strict, hierarchical systems of centralized control and mass production overseen by experts, are giving way to an economy based on open networks that honor self-organized, bottom-up participation in the manner of open source software. This fundamental re-ordering of economic relationships is releasing a great deal of social energies precisely because network infrastructures invite ordinary people to invent their own systems of provisioning based on local needs and niche preferences. Sharing and collaboration are becoming common-sense norms. This shift in basic economic structures entails a move away from a logic of scarcity (e.g., the artificial constraints of copyright and patents on non-rival information) to a logic of abundance (where information, culture, research, etc. can be shared at virtually no cost). This shift is also making social, ethical and personal relationships more important in economic life, enabling us to escape from the prevailing fiction of homo economicus as the human template for policymaking, to more complex, humanistic and culture-specific concepts of economic behavior. 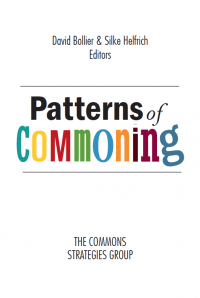 As a socio-economic paradigm, the commons accurately depicts much of the collaborative activity now occurring digital networks: self-determination as the basis for a new political economy. However, prevailing (archaic) legal regimes tend to ignore or criminalize commoning, thwarting a faster, fuller transition to the next economy. This strategy memo is a first attempt to survey the more significant realms of commons-based legal innovation occurring today. Besides providing a rough inventory of more than sixty projects and theaters of legal innovation, I wish to propose that these disparate initiatives be conceptualized as a new strategic framing, “Law for the Commons.” The essential goal of this body of law is to develop novel legal forms that can incubate, maintain and defend commons. A related goal is to use the banner of “Commons Law” to help federate isolated players in this sprawling, emergent realm (commons-based social and political struggle) to strengthen their collective impact through the use of law. If we’re serious about catalyzing systemic change, we need to start articulating a coherent vision and provide specific legal and policy mechanisms for achieving it. In that respect, this memo complements the intentions of the P2P Foundation’s Commons Transition website (www.commonstransition.org). Declaring the existence of a new realm of inquiry known as Law for the Commons could also have important secondary effects. It could provide a clearer, more muscular vision of change for the many political movements seeking to create a “new economy.” It could provide a shared focal point for the Solidarity Economy, co-operatives, the Transition Town movement, peer production, indigenous peoples, and many others to coordinate their post-capitalist activist strategies. By providing better forms of direct self-governance and access to resources for basic needs, Law for the Commons can also help advance the interests of women and marginalized minorities for whom access to state law, enforcement and support may be problematic. These movements all seek to achieve systemic changes in production, state policies, governance, the fetish of economic growth and the culture of consumerism, especially as they relate to the environment and the quality of everyday life. A new field of Law for the Commons could help consolidate and loosely coordinate the diverse initiatives now unfolding, and give them greater focus and visibility as kindred endeavors. This memo therefore provides an introduction to commons-based law as a distinct field of policy research, legal innovation and activism. It seeks to show how such a body of law could catalyze new (transformational) types of dialogues, collaborations and cross-movement fertilization of ideas. It could also help jolt existing legal scholarship, advocacy and activism out of their well-worn ruts – i.e., their fixation on state policymaking structures and law as the primary engines of change – and challenge them to pursue a more ambitious, bottom-up agenda for change. The many varieties of commons-based law described below are quite different from each other; some might consider them too disparate to be related at all. But I believe they all attempt to enable commoning and/or prevent market enclosures. A familiar concept in eighteenth century English commons was the idea of “beating the bounds.” Every year the town’s commoners would host a community festival that consisted of walking the perimeter of the shared forest or pasture, identifying any hedges or walls that had enclosed the land for private gain – and then knocking them down. The event was an effective but convivial way of asserting the community’s identity and governance, and protecting the shared wealth, and identifying and punishing vandals and free riders. The strategic focus of many contemporary social movements is, in effect, to devise new methods (legal, technological, social) for beating the bounds. But the recurring patterns of this commons-based legal innovation goes largely unrecognized – perhaps because this work is seen through the lens of neoliberal economics and policy and therefore dismissed out of hand; or perhaps because so many American activists continue to have a blind faith in the efficacy of governance institutions created in the eighteenth century; or perhaps because a new commons-based political culture has not sufficiently coalesced and therefore many people cannot see its transformational potential. The problem may also be that commons-based law is not seen as a philosophical or strategic departure from the status quo because it continues to “play ball” with established, state-based forms of law. But that is often both tactical feint and political necessity in the service of playing a “longer game.” The whole point of instigating a new discourse of commons-based law is to reframe and reorient people’s perspectives. It is to emphasize that new forms of self-governance – social, informal and evolving in character – point toward a different vision of political economy, law and culture. It is use a different language to showcase new approaches that can be more effective, trusted and dynamic than the (tired, less effective) solution-sets that the liberal polity is offering. That’s the primary reason that I have compiled here the many types of commons-based legal innovation now underway – to point to distinct patterns of legal innovation that offer promising strategic opportunities. More grandly, I like to think that the forms of commons-based law described below constitute a powerful (if underdeveloped) force for re-imagining governance, economics, politics and social practice in systemic ways. Thus, commons sometimes aspire to work with a partner state (to the extent that the state can deal in good faith) and in other ways commons simply seek defensible legal work-arounds that require no active support from the state. This amounts to a “particle-and-wave” political choice that deserves further theoretical analysis. Jeremy Rifkin, The Zero Marginal Cost Society (Palgrave Macmillan, 2014); Paul Mason, Post-Capitalism: A Guide to Our Future (2015, UK); Michel Bauwens, Network Society and Future Scenarios for a Collaborative Economy (Palgrave Macmillan, 2014); and Yochai Benkler, The Wealth of Networks (Yale University Press, 2006). As feminist historian of the commons Silvia Federici has written, “The social function of the commons was especially important for women, who, having less title to land and less social power, were more dependent on them for their subsistence, autonomy and sociality.” Medieval witch-hunts were often directed at women who resisted enclosures of their commons. Jessica Gordon Nembhard’s recent book, Collective Courage: A History of African American Cooperative Economic Thought and Practice describes the critical role that self-provisioning and -governance through cooperatives played in the emancipation of African Americans. Rights of Nature conservationists are not stakeholders. As commonly defined in the US courts, a stakeholder is a person or organization who has a property or money interest in some action. This is the Rights of Nature century. The Rights of Nature acknowledges that the forest, grasslands and seas are already filled with the native occupants of that place and those occupants are not people. This twenty-first century peoples can no longer glean resources form natural places and no place is so altered by human activity so that it cannot be returned to the sole control of nature forces and processes. There are commons for peoples and there are commons for nature. Places cannot be both. There is no win win. Nature will always lose. There is no best practices for resource removal. There is no true renewability. Then what is the plan for these tow diametrically opposed commons? It would be the classic vegan oatmeal raisin cookie. The raisins being people commons surrounded by the oatmeal being the complete and total natural landscapes returned. If the two commons are not kept separate this twenty-first century the climate and the entire Species’ Planet is doomed. In a description of the commons of the Species’ Planet we shall discarded terminology which was coined for the people’s commons. We cannot describe the species’ forests using resource, forestry and other agriculture terminology. We must use new terms such as the species’ forest and species’ grassland. A species’ forest is of, by and for all the other native plants, animals, fungi and soil microbes which occupy that place (aka natural commons). The Rights of Nature is nearly the same as the Rights of Mother Earth, but for one difference. The Rights of Mother Earth includes people and culture. The Rights of Nature does not. If the word nature mean everything then it means nothing. People are part of nature, yes, but we are no longer an asset to the natural processes. We don’t know how assist without harming, so we must vacate the natural commons. There must be forest and seascapes as far as the eye can see between each and every people commons. The modern world must be a “vegan oatmeal raisin cookie”. Hey David, there are few more laws, based on the legal legislation, economic policies and all, day to day life and the basics need too? I came to know from this official site. But yes, this post is very mandatory for a person.